Ozark mountain creeks come alive with color in March. 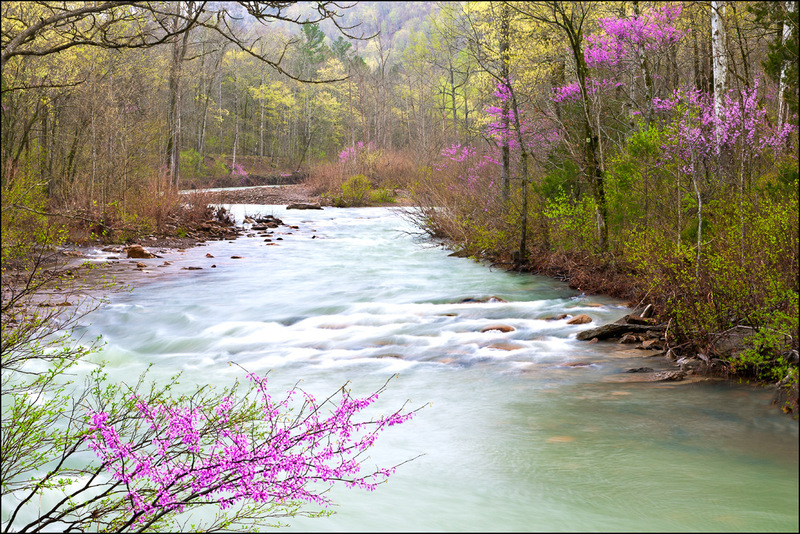 Redbuds are some of the first to appear, shown here along Falling Water Creek. . Photo © copyright by William Dark.